Tubeless Easy for Cyclo-crossers. 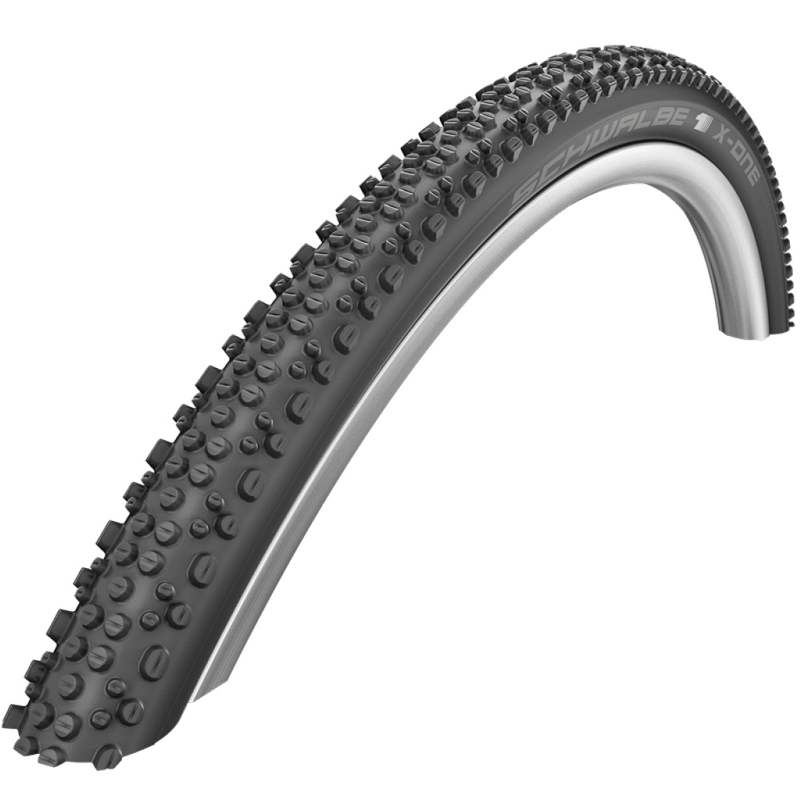 The new profile and OneStar rubber compound make the Schwalbe C-One one of the fastest cross tyres ever. To make it the absolute high-flyer, mount it without a tube on a tubeless-compatible wheel. Note: In combination with the right wheel you can run tubeless tyres for cyclo-cross with extremely low air pressures without fear of "Burping" (unwanted air leakage). For instance, it works extremely well with the Iron Cross from No Tubes. Struggled finding tubeless cx tyres so really happy to find these (at a great price). Had a number of gnarly rides at low pressure and NO PINCH FLATS!! Grip is good but haven`t run then in wet yet. Sets up tubeless very easily, went onto an Alex ATD02 tubeless ready rim with no effort, inflated and sealed straight away with just a few strokes of a track pump. Very happy with that. Using as a dry conditions cross tyre for summer adventure rides and will probably keep it on for early season cyclocross racing too. Rolls fast but still has good enough traction on loose surfaces. The 35mm size offers a bit more cushion and grip than a true CX race tyre so has been great for more adventurous rides beyond the tapes of a racecourse. Not tried in the wet or mud so can't vouch for it as an all rounder yet but very pleased with it so far. Nice fit on tubless rims and light. No problems with dry traction, not used in wet yet. Bought after reading lots of reviews of do it all cross tubeless tyres. Great grip - run at really low pressures and went on Stans rims with a little help from tyre lever and blew up straight away with track pump. I needed these tires as we started to find mud on the cx course. These performed brilliantly, even on the off camber. I am running these tubless.